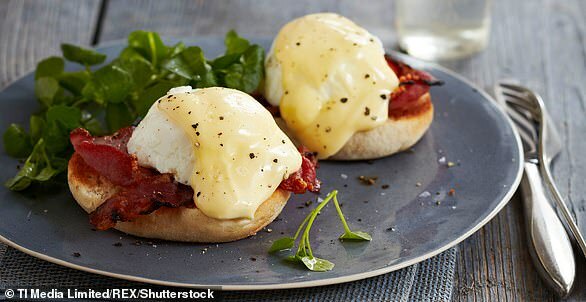 More than 17,000 people have sympathised with a Tesco customer who ordered eggs benedict but was served a dish he described as a ‘monstrosity’. 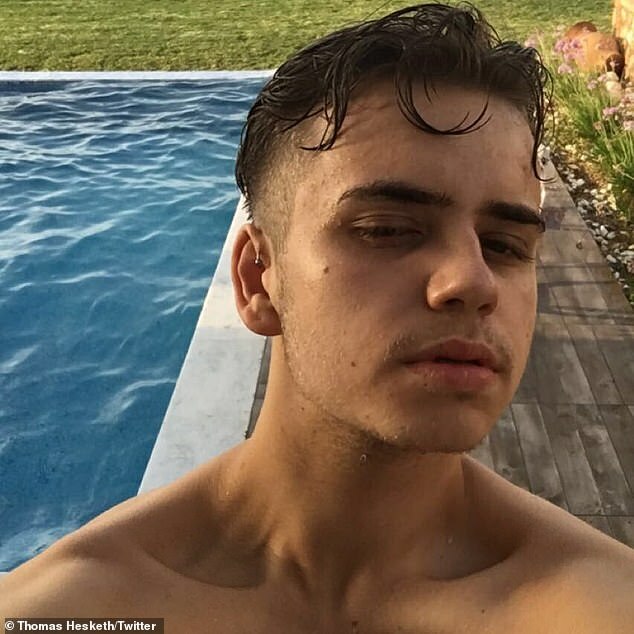 Thomas Hesketh’s Tweet has gone viral after he posted a picture of the limp breakfast from a Tesco cafe in Wigan on Saturday. The popular brunch dish, often lovingly presented, looked less than appetising when it arrived: two watery eggs on reformed ham. 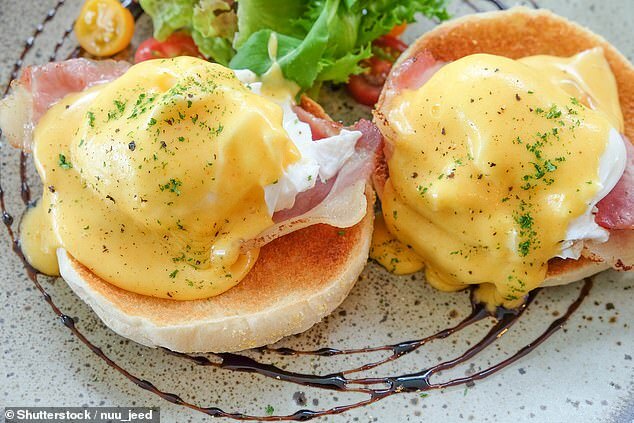 Several Twitter wags dubbed the disappointing dish ‘Eggs Benidorm’. The image shows two limp pieces of cold ham with what looks like dollops of salad cream and custard on a small piece of bread. Traditionally the American recipe consists of an English muffin topped with thick slices of ham and two poached eggs with Hollandaise sauce to top it all off. According to Mr Hesketh, from Westhoughton in Wigan, the Hollandaise sauce came straight out of the fridge. The unappetising picture has gone viral with around 17,000 likes and 3,000 retweets. Plenty of people made tongue-in-cheek comments about the dish with more than one questioning the appearance of the eggs. But Thomas was sure to let them know that it wasn’t the staff that were the issue but the food itself. 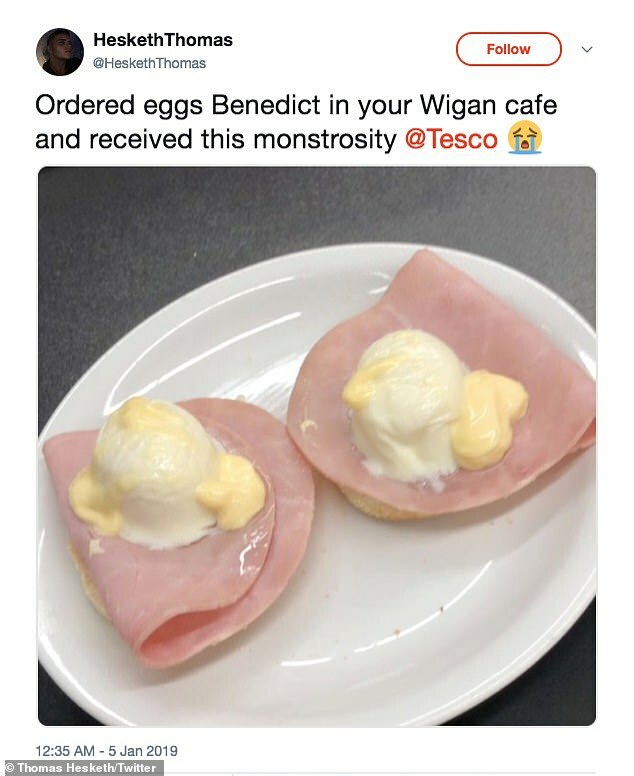 In a statement, Tesco said: ‘Our Café team are really passionate about serving our customers great quality breakfasts and we’re sorry this Eggs Benedict didn’t meet our usual high standards. This classic dish is said to have been created at Delmonico’s restaurant in Manhattan for a Mr Benedict, a stockbroker. Fill a bowl with water and a handful of ice cubes. Then bring a large pan of water to the boil, use a whisk to create a fast whirl and crack an egg into the hot water. Cook for 2-3 minutes. Lift out with a slotted spoon, drop into the iced water to cool and drain on a plate lined with kitchen paper. Repeat with the other eggs. To make the hollandaise, whisk the yolk and vinegar in a heatproof bowl. Place over the pan of boiling water you cooked the eggs in, making sure the base doesn’t touch the water. Add the butter slowly, whisking until thick. Season and keep warm. Keep the pan of hot water to one side. Heat a frying pan, add the oil and toast the muffins, then set aside. Add the spinach to the same pan and wilt. Lower each egg into the hot water for 30 seconds to warm through. Pop a muffin half on each plate, top with spinach, bacon or ham and an egg, then the sauce and chives. SOURCE: James Martin’s American Adventure, published by Quadrille, £25.